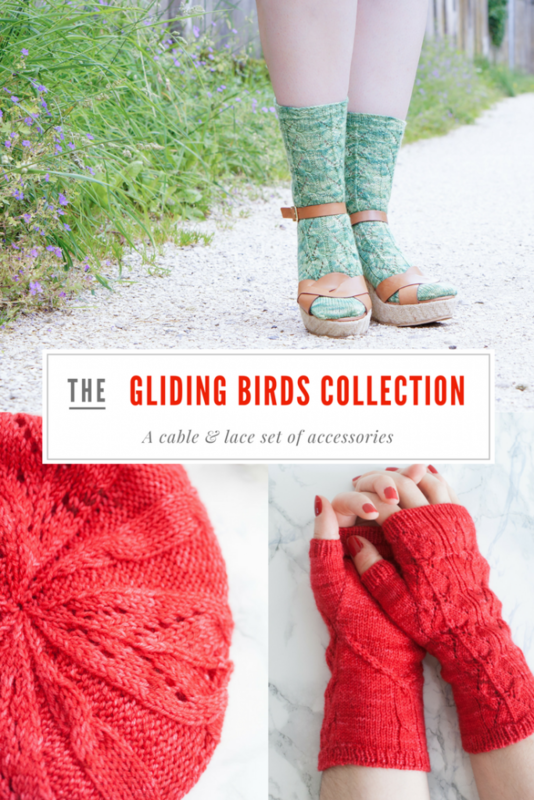 I’m so happy to introduce the Gliding Birds Collection to you today! 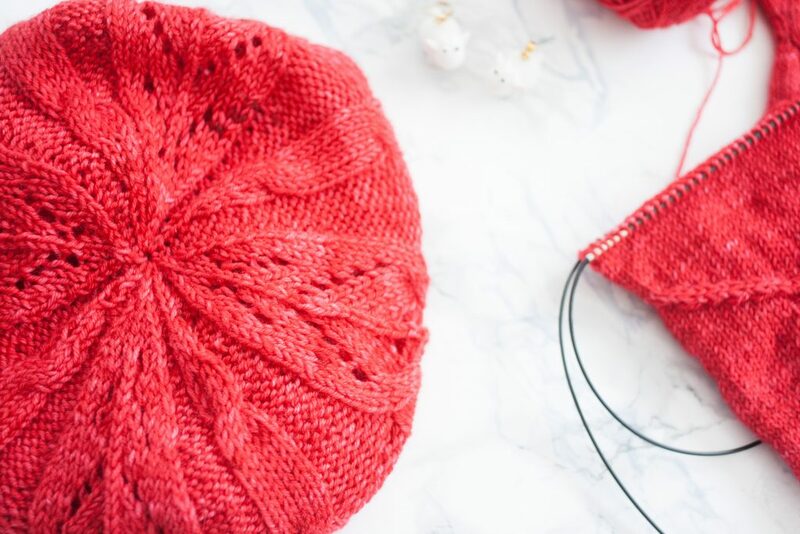 It includes three patterns, one already published and two whole new patterns: the original Gliding Birds sock pattern, a slouchy Gliding Birds Hat, and the short and easy Gliding Birds Mitts. The Gliding Birds sock pattern was released about a year ago. It was my second collaboration with Le Chat qui Tricote and it opened so many new worlds for me: Camille dyed a new colourway specifically based on one of my idea; I implemented cables and lace in a same design which became one of my go-to stitch combo; and it was the first time I allowed myself to go a little crazy and added some cables in the heel flap. Let me tell you, I had A BLAST designing this sock! When we talked about the patterns which will be included in our Autumn Box (released today, go check it on Le Chat qui Tricote e-shop! ), both of us suggested to extend the Gliding Birds sock to new designs. With only one skein to work with, a shawl was out of the question. Cowls are always a great option when autumn winds start to blow but as I remembered last year’s autumn, what I was really craving for was something to keep my hands and ears warm. Buy the Gliding Birds Collection on Ravelry or in my e-shop. For me, slouchy hats are a perfect autumn of spring accessory. They’re not too warm but still keeps your ears and head protected which is especially great when the wind starts to blow. Worked from the bottom-up the Gliding Birds Hat features a cabled ribbing which evolves into an easy-to-remember swirling pattern. 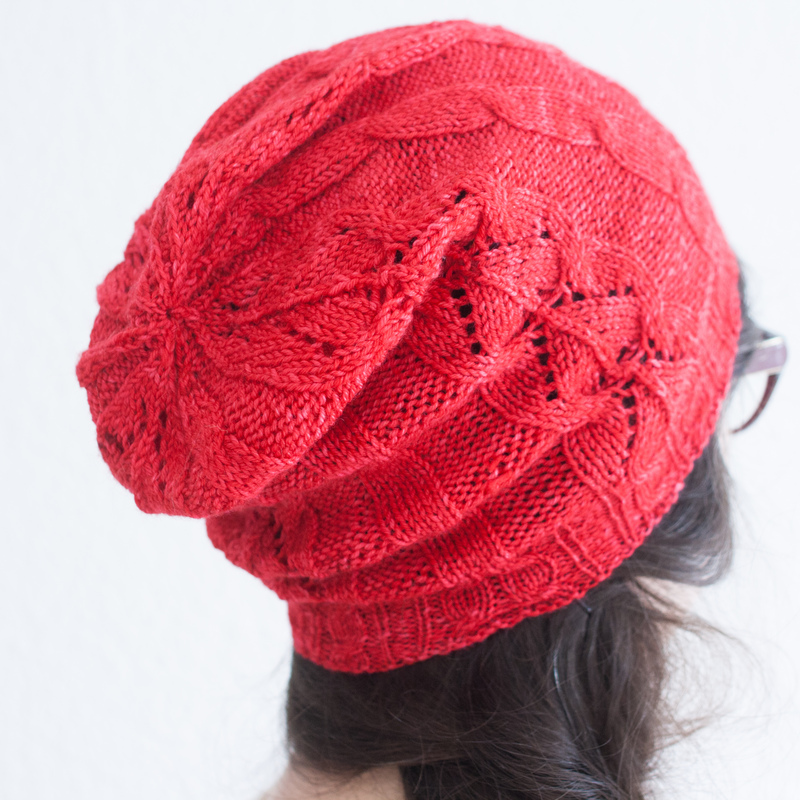 The slouchy top of the hat is enhanced by decreases worked in pattern to form a star which make it pretty with or without a pompom. Buy this pattern on Raverly or in my e-shop. I have an unconditional love for small needles and dense knitting fabric. And close-fitting gloves or mitts. It was kind of obvious for me that these mitts had to be worked on sock-size needles. I did try to work with larger needles but it didn’t feel right at all. 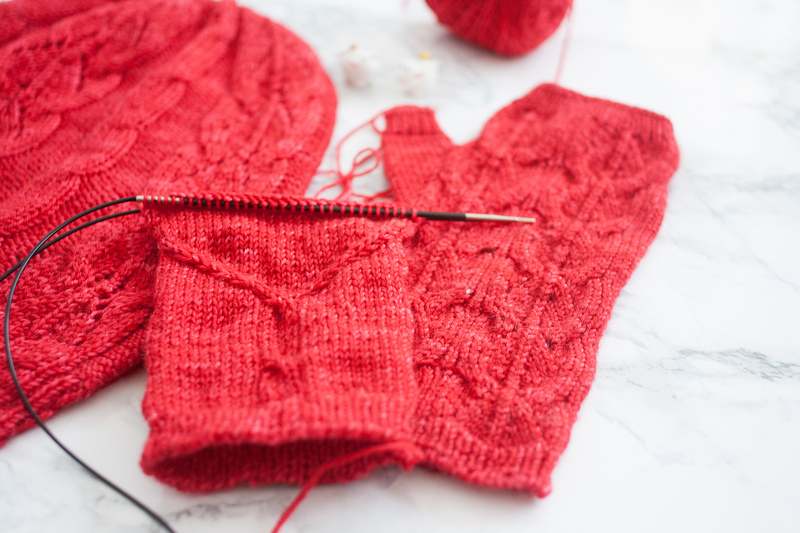 Worked from the bottom up with both a tubular cast-on and bind-off and 2.5 mm needles, these mitts feature an easy-to-remember swirling pattern on the top of the hand and a cable on the wrist. Buy the pattern on Raverly or in my e-shop.